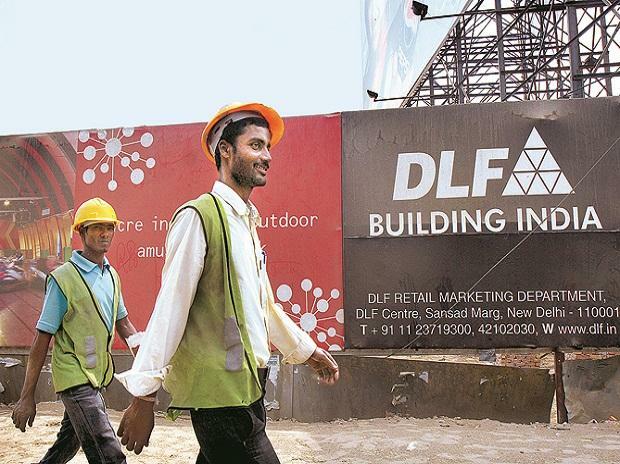 DLF shares hit an over six-month high of Rs 207, up 6.5 per cent, on the BSE after the real estate developer successfully raised Rs 3,173 crore through qualified institutional placement (QIP). The stock was trading at its highest level since September 18, 2018. “The Securities Issuance Committee of the Company has, at its meeting held today i.e. 29th March, 2019 approved the allotment of 173 million equity shares of Rs 2 each to eligible qualified institutional buyers pursuant to the QIP at the issue price of Rs 183.40 per equity share,” DLF said in a regulatory filing. Investors like Oppenheimer Global Fund, Society Generale, BNP Paribas, Morgan Stanley France, Copthall Mauritius Investment and Stichting Depositary APG Emerging Markets allotted the shares in the offer. In past one month, DLF has outperformed the market by surging 25 per cent, as compared to 8 per cent rise in the S&P BSE Sensex and 16 per cent gain in the S&P BSE Realty index. Analysts at JP Morgan believe DLF’s transition that started in early 2018 is now midway and should be completed over the course of F20 with the settlement of DLF Cyber City Developers Ltd (DCCDL) payables and capital raise. “Sustenance of positive free cash flow, bottoming of NCR market (seen in latest launches by developers) and earnings scale up over F19-21 driven by the transition to INDAS accounting and debt reduction should support improving valuations of the development business. Key risks are around inventory concentration in 3-4 key locations in Gurgaon & “pro cyclical” build out of office assets,” the brokerage firm said in its February 11, 2019 report, with ‘overweight’ rating on the stock and price target of Rs 280 per share.